Obviously, Tennessee is one of the most suitable American States to set a business afloat particularly if you’re trying to avoid a huge tax burden. 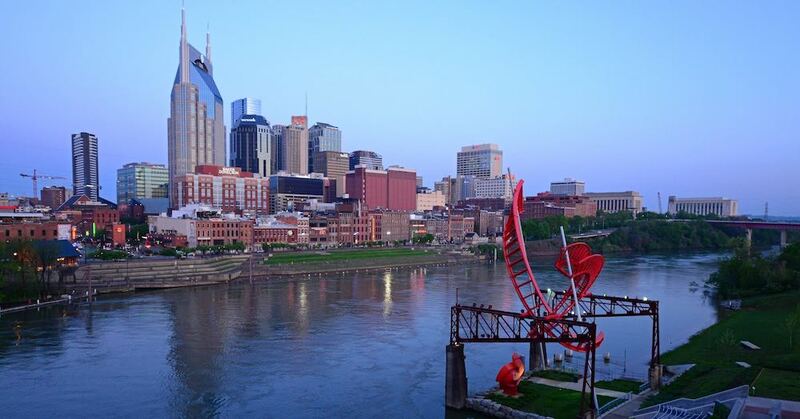 Considered the US State with the eighth lowest tax burden, Tennessee continues to garner significant recognition as a desirable business destination. Whether you have massive business hopes or only wish to launch a small-scale business, Tennessee is readily one of the best American States you should choose from. More to that, starting a business in Tennessee is so easy that all you need is to comply with a few steps which would be discussed in this article. By the time you’re done reading this article, you’ll have found out what you need to launch a business in Tennessee and steer it successfully. In any attempt to delve into business, one of the most important things you should consider is the suitable business idea for you. This decision will likely be influenced by several factors including your natural ability, your objectives, your financial capability, and your personal interests. Although there are a decent number of lucrative businesses suitable for operation in Tennessee, you still have to think considerably over the business idea that should suit you. In the event of your preliminary business plan, you’ll have to decide an appropriate business entity. Just like many other places, Tennessee lets you choose any of the four common entities for your business. Besides having favorable tax treatment, LLC is likely the most suitable entity for a small business as it protects its owner from personal liability in the case of any business suit. If you’re planning to establish your business on a small scale, you may simply choose this business entity for it but if otherwise, it’s advisable you weigh the advantages of the three other business entities. Aside from the normal tax registration, you’ll have to incur for your Tennessee business, note that a Tax ID Number (alternatively a Federal EIN) is required the majority of the businesses people set up. Meanwhile, having this Tax ID Number is very important for you particularly if you’ll like to create a business bank account as well as employ workers. Essentially, some of the State taxes you’re required to register for your Tennessee business are Unemployment Insurance Tax (provided you’re hiring employees in the State) and Tennessee Sales Tax if the product you wish to sell is tangible. Permits and Licenses are perhaps some of the requisite documents your business needs to operate successfully without going against local, State or federal laws. Depending on your type of business, business operation in Tennessee will require you to have a handful of permits or licenses. Provided you’re establishing an eatery, a restaurant or similar business unit, some of the permits you may need are signage, building, and health permits. Verily, you’ll have to incur certain business risks and to ensure you’re able to manage these risks and keep your business running, business insurance becomes an essential consideration. If your aim is to establish your Tennessee business on a small scale, endeavor to have a general liability policy. Also, securing a professional liability policy may be necessary to ply any of several professional businesses such as accounting and consultancy. For the most part, Tennessee requires you to secure workers compensation insurance if your business has five or more employees. If you’re really keen to do your business professionally, it behooves you to have a separate account for your business. Besides helping your Tennessee business to look more reasonable to clients /customers, a separate business account will incorporate ease into your accounting tasks. In addition to a business bank account, you should have a credit account for recording all on-credit transactions incurred by your business. After getting your Tennessee business off the ground, you’ll surely need a strategic marketing plan to make it survive amidst competitors. Therefore, ensure you establish a vital online presence for your business using popular social media networks such as Facebook and Twitter. Also, you can further boost the online visibility of your business by establishing accounts on Google Reviews, Yelp, and other reviews websites. Doing this will not only improve your marketing campaign but also boost the local searchability of your Tennessee business.